I attended a Bangkok tea expo at the Impact event arena over the weekend, the second time I've been to that one, and the second such event this year. It was really a coffee and tea theme, combined with foods, but there wasn't much going on related to tea. 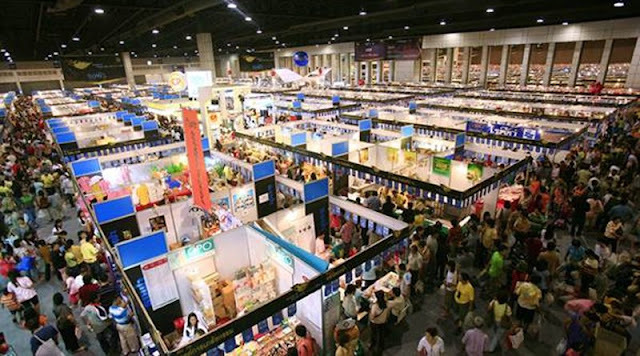 Unfortunately that will be the main theme of this post, that tea-themed expos in Bangkok don't amount to much. I'll add some about what is going on with tea, related to what I saw, which will fill in some background. 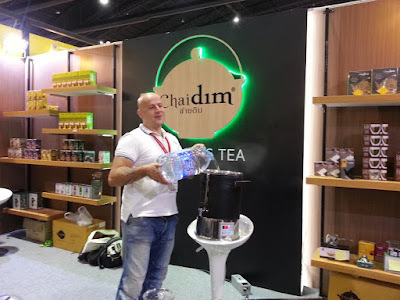 At that expo I saw a local business contact who I ran across at last year's event, the Chai Dim owner, and a Ceylon vendor I met for a tasting earlier this year. Other than matcha, and commercial Thai tea that sells in grocery stores that was about it. I'm not really into matcha but I almost bought some, just to participate. I've tried real matcha a number of times, and Starbucks latte level versions more, and ice cream and smoothies, but it's sort of an acquired taste, like beer or coffee, and I've not acquired it yet. Which I'm ok with. I don't love green tea so it's not the best natural fit. I was into adding spirulina to protein drinks when I was a vegetarian (which lasted a bit shy of 20 years, not a short stint), so I have the potential for that range, but my tea habit is enough ground to cover without it. Where to go with saying I barely drank any tea there? I can describe what I did try. I tried a Wuyi Yancha Shui Xian that was ok, not great, but decent for commercial tea. And I tried a SNSS Ceylon hot brewed tea that was fine, typical for those, better than what one buys in a grocery store, and a version they had prepared with milk and sugar. That was probably the one interesting high point, tasting milky tea in a range that wasn't completely familiar. It was good, with enough flavor range it almost seemed like flavored-tea versions, except it was that mineral-intensive and earthy Ceylon range natural flavor. Still sweetened milky tea though. At last year's version I first met those two vendors I mentioned and tried a Nespresso machine version of Thai flavored tea, and drank a bit of local Thai tea, and a Dilmah brand sample (decent commercial Ceylon tea, if one is into such things). Not much going on in comparison this year; the same, just less. 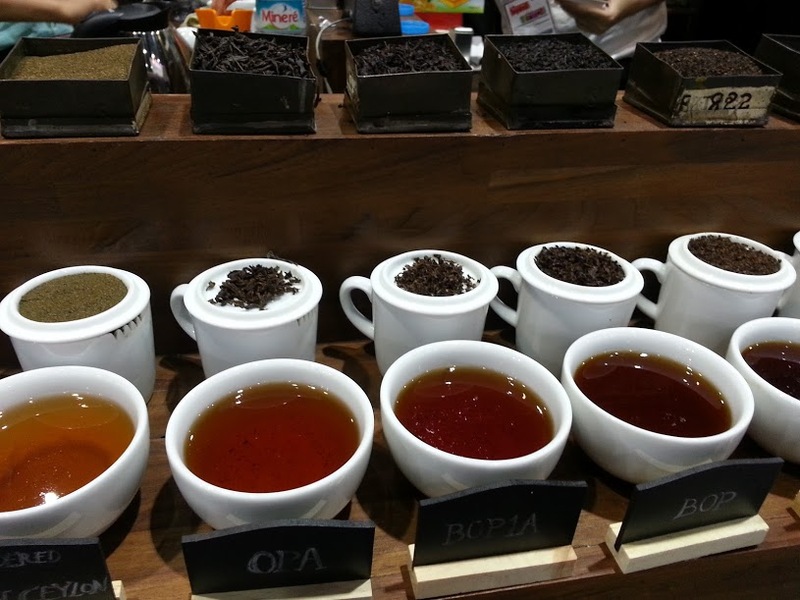 So that's it: the story of a Bangkok tea expo is that there wasn't much tea there. 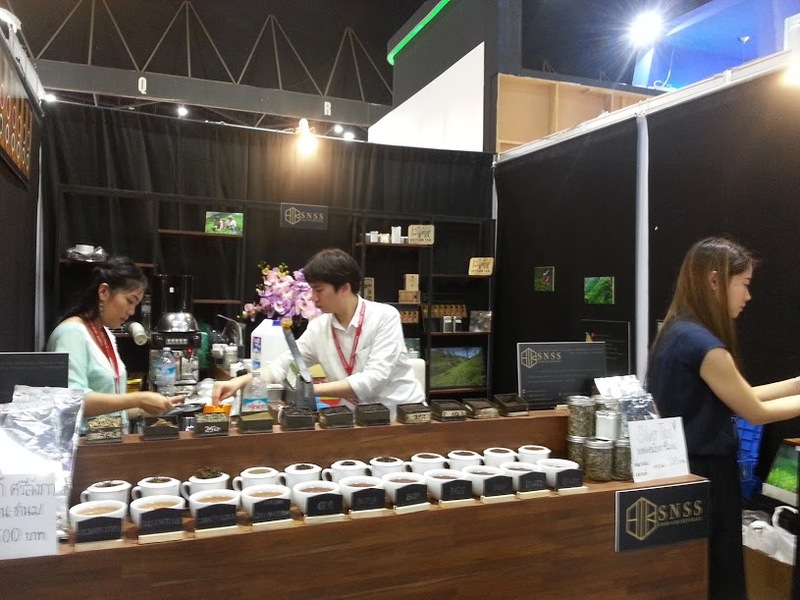 I went to a different coffee and tea specific expo version not too long ago and walked back out without seeing an equivalent of those two booths I said some about here. I tried some watery, warm matcha there or else I'd have not have tasted anything. Even though it was awful it filled in the experience, a little. I've been to an organic foods event here in town that's had more tea selection than both events; it really seemed the "coffee and tea" sub-theme would draw out more showing than it did. At least I bought some cashews, and sausages, and milk-candy for my kids on the walk back out through a different section. I met another vendor in town for different reasons, Kenneth of Monsoon teas in Chiang Mai, at my favorite Chinatown shop this weekend, Jip Eu. 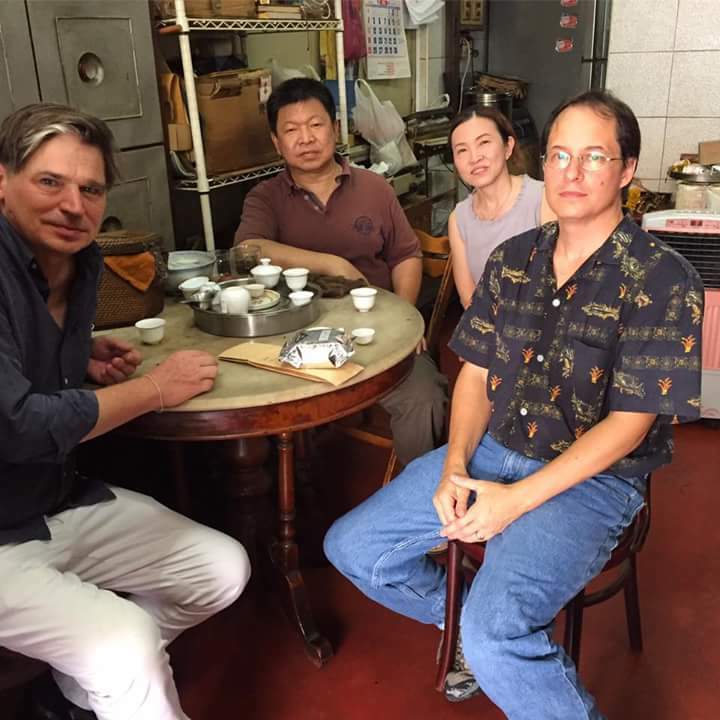 We talked a little about what he was into (the short version: wild, sustainable, other-related-plant-type based tea development). Really that's not as distinct a subject as it might seem. In one Facebook tea group a long discussion just reviewed how closely Taliensis--another Camellia Sinensis variety--is related to the other two standard branches. The short answer: who knows (but different research papers do give longer answers). And I just reviewed a Yabao tea buds product that seems to be from a plant type that's not exactly the same as those in the other two main branches (Dehongensis instead, although what that is isn't clear). We were sitting in one of the best places to pick up Wuyi Yancha in Bangkok, maybe the best, and tried a really nice Da Hong Pao there. Of course "nice" is always relative; probably as good as nicer online shops tend to sell, maybe not quite as good as the average tea version pitched as being in the "never makes it out of China" range. That Bei Dou I bought from them awhile back probably was on that level, just crazy how pleasant and well balanced (reviewed here). 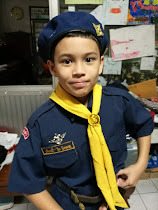 All that aside, I asked him how it might work to get people into better tea, and his answer was simple: gateway teas (not how he put it, but how I tend to think of it). Flavored teas and blends, to be more specific. On the one hand that's a solid, completely intuitive answer that matches lots of people's experiences. I started out on tisanes 25 years ago, and maybe only got into normal teas because of that, partly by way of trying out Tazo blends around 20 years ago. Bit of a tangent, but it makes you wonder how long Tazo has even been around (23 years, per the Wikipedia entry, probably with more on that somewhere on their website). I had no idea I was an early adopter. Really I just tried a lot of their line since a restaurant in Colorado carried it, within the first few years the brand even existed, it would seem. I remember drinking a health-inspired blend from a local health-foods shop called "Immuni-tea" back then; that was an interesting idea to develop a functional blend (even if the validity might be questionable), and got in early with that range of tea puns, but as I recall it tasted a bit nasty. Others experienced or are still experiencing something similar through Teavana, or David's tea, or by trying Twinings versions, or whatever else comes up. T2 seems to have dumbed down their selection from years ago, probably in part related to being bought by Unilever, but one can only assume the blends sell (or at least the profit margin is good). Here in Thailand you see mostly bottled (RTD, ready to drink) Japanese theme tea, bubble tea, or Thai tea (spiced black tea, served cold with milk and sugar, the orange one). Plain black tea with sweetened condensed milk isn't exactly the same but not so different. Of course a tea enthusiast might well think people don't need to go through all that, they could go straight from a Starbucks coffee habit to any number of plain-tea entry points. Light oolong (Thai versions) was one of my own, but I'd been drinking green tea in Japanese restaurants before that, and buying an unusual Laos farmer-produced version was another stepping stone. So was jasmine green tea. Earl Grey not so much, but that was the luck of the draw, if that restaurant in Colorado had carried it in addition to Zen and the rest maybe the process would have went faster. At the expo the Chai Dim vendor was saying the same thing; he started selling a whole line of blends in the past year. That one Shui Xian was the exception, the only plain tea loose he sold (as I remember), with a smoked Lapsang Souchong as a standard flavored alternative. I probably should've tried that; the smoke balance in versions almost never matches my preferences but I could probably still get into smoked tea if it did. I reviewed a smoked tea from Japan that was nice not long ago, it just didn't lead me to searching for more, at least just yet. Would a better plain tea booth at that expo had worked? Maybe; it would probably depend on the format. End-customers can and do go to those events but it's more focused on other vendors, so the vending theme would have to be right. The image would need to sell, to an extent, along with the teas themselves. The same awareness problems that factor in for end-customer sales also applies to other vendors. These are issues I've been giving a lot of thought to. This market is where the US tea market probably was 20 years ago, definitely establishing an opportunity for the right approach. But then surely lots of US tea vendors have failed in the last 20 years, or continued with businesses that aren't clearly successful. Awareness on the customer side has to be one factor; the most promising development on the supply side means nothing without the teas being desired and purchased. The main difference is that Northern Thailand was growing tea 1000 years ago, and a wave of Chinese immigrants (Tai people--long story) were responsible for establishing the Sukhothai kingdom and era right around 1238 (with lots more on that here). That shop I was in has been around for about a century but that's quite recent compared to the roots of Chinese tea here. Again and again I post about vendors that are chipping away at the problem, building up awareness and demand in Thailand, but the conditions are just as much a recipe for failed businesses as an opportunity. I suppose I have more ideas for potential directions than I've shared here but the root of the problem is that although tea awareness isn't non-existent interest in better tea is very, very limited. There are vendors selling them but people aren't buying them, and online options don't need to be in-country, teas ship from place to place easily. I've had one idea for a new approach that is truly novel, something I've been biting my tongue about, related to the potential for a darker side of marketing to emerge. I'll say more about it if I ever see it happening. There are Thai teas being sold here, of course. Thai oolong is sold in grocery stores, or in small shops all over the place, or Royal Project stores, and online, in lots of places. There are closer connections to other Asian countries than in the West, so you can visit Chinatown for tea, or walk into a Vietnamese restaurant and probably pick up some low-end green tea. It doesn't seem to be serving as a gateway, and I'm not completely sure why not. 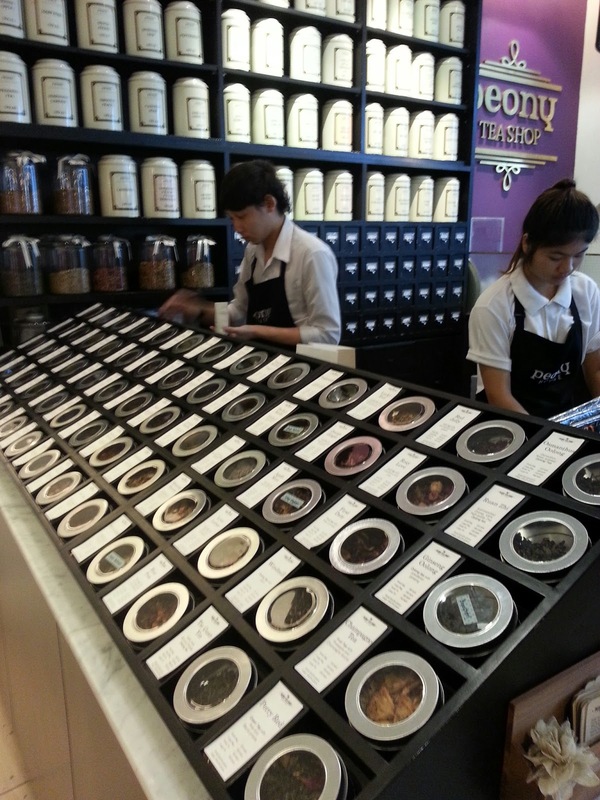 Unless you count about one new tea-themed cafe starting up in Bangkok per year, including branches, and then it is on the rise, but that's going to take time to build up to much. I'll walk by 8 or so booths selling bubble tea or instant tea on the way to the BTS after work (elevated train system); at this rate it will never be on remotely the same level of popularity.